a few weeks ago, i went to the one of a kind show in toronto and went a little maple crazy! maybe it's the canadian in me, but i love maple syrup.. so when i saw maple mustard, maple butter, maple bbq sauce i had to have it all. instead of simply using the syrup and butter on pancakes, i wanted to incorporate it into my baking. 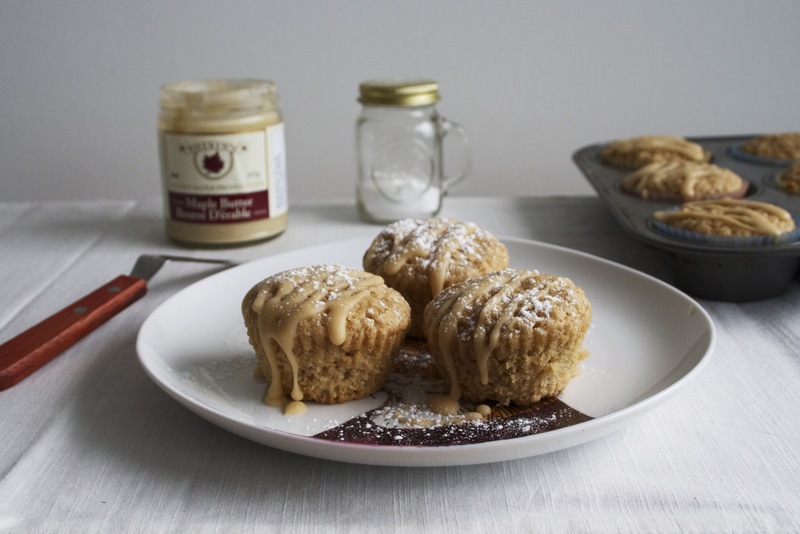 maple oatmeal muffins drizzled with maple butter! 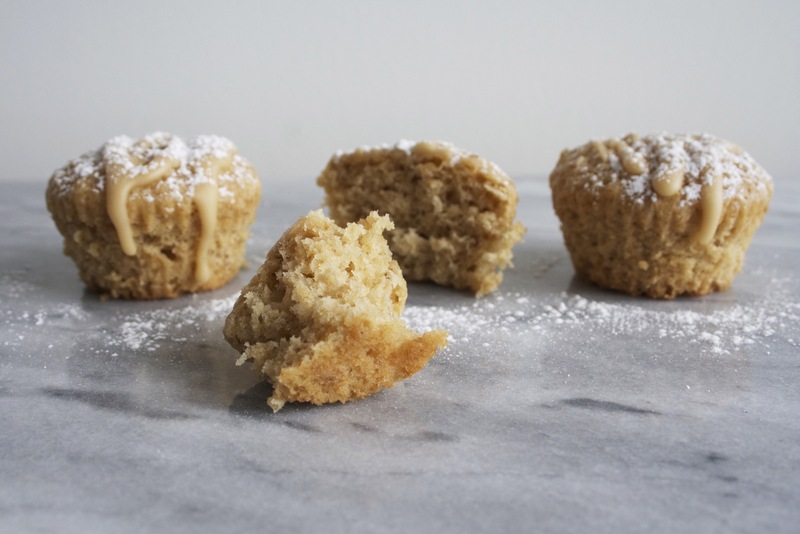 it makes for the perfect snack or grab and go breakfast on busy weekday mornings.